Supporting your cause or organisation and coming up with really successful fundraisers is all about great communication. And great communication is all about telling stories. That's right telling stories. The world is a wonderful and joyous place...... But it is very busy. Sometimes we struggle to take it all in. Stories are what we use to understand it. To make sense of it. To relate it to our own situations, our hopes fears and worries. Stories are the way we relate to the world. 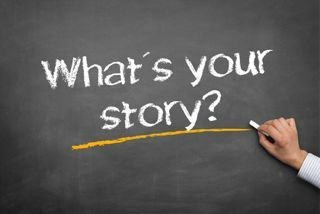 So if you really want to put your group or organisation on the map and make your brilliant fundraising idea a real winner you must tell their stories. You need to think how the story of your organisation is being told. You obviously think its great. Why is that? What is the problem? What does it do? What successes has it had? Now what are the specifics, how can we get down to the stories? This is what the big charities do all the time. 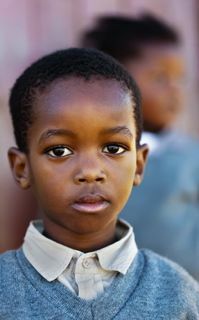 Example -A development charity that tells us the story of a particular African child called Xavier who has to walk 5 miles before and after school to get water for his family. They don't tell us other than in the broadest details the big picture. Instead they concentrate on Xavier and his four sisters, and their mum who had an operation last year etc. Your response to this advertisement is an emotional one. But by telling Xavier's story you now understand, at least a bit better, a major issue. It doesn't have to be on such a scale however. Even if there is no personal story we prefer to engage with ideas we can understand. Example-The sports club fund-raising to support their outreach work for kids growing up on tough estates. Lets tell the story - Its a group of young men giving up their time to help someone else. Normally big and tough, look at these players now as they laugh and joke around with the children. Look at the kids themselves, gaining new role models, learning to play the game, enjoying the attention. So why are you fundraising for your organisation? The best fundraising ideas too tell a quick little story. Its like a shorthand for people to understand and relate to your idea. And when they do that's when they will get their money out! Examples-The local rowing club with their rowing machine in the shopping mall aren't doing a simple rowing relay. They are actually rowing across the Atlantic (all be it on dry land) and the mileometer attached to their machine will tell them when they have made it! Along with the local press who are intrigued by the idea. "The rubber duck I bought in the local charity duck race is not just number 103 he is called Ralph. I chose that duck because I have an Uncle Ralph. I told my mates about it and now they have got their own ducks called Lewis, Joe and Barry. My Mum wants to get one now. But Ralph is going to win. Apparently they publish the names of the top 50 ducks home in the local paper........"
"Thats right, if you want to have a go at the horseshoe toss game you must first put the Cowboy Hat on. It suits you. Is your mate going to try it on and have a go now." It sounds easy and it is. just try to tweak everything to be bigger, better, more impressive, funnier, sillier. Turn it into a story. Don't have a normal kid's bike race- award the Toddler Trike Trophy. Don't just have a Christmas Fun Run- have the Jinglebell Challenge! Don't have a Halloween Party Fundraiser- have Pumpkin Pandemonium!